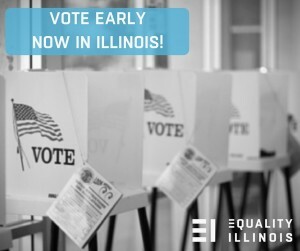 The Equality Illinois Political Action Committee believes that an active and informed voter is the best protection for the hard-won recognition we have achieved of the rights of lesbian, gay, bisexual and transgender Illinoisans and the best way to ensure that we continue to make gains. CAN I STILL REGISTER TO VOTE? Yes. Though general voter registration is closed until after the primary election, you can still register at designated locations–but you must vote at the same time, or you can register and vote on election day at your local polling place. You must bring two forms of ID. Check with your local election authority for locations for grace period registration and voting prior to election day. WHO CAN REGISTER NOW? If you recently moved to Illinois, will be 18 by Nov. 8, 2016, changed your name or moved to a different address—you need to register to vote! 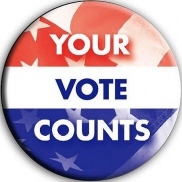 • Live in your election precinct at least 30 days prior to the next election.